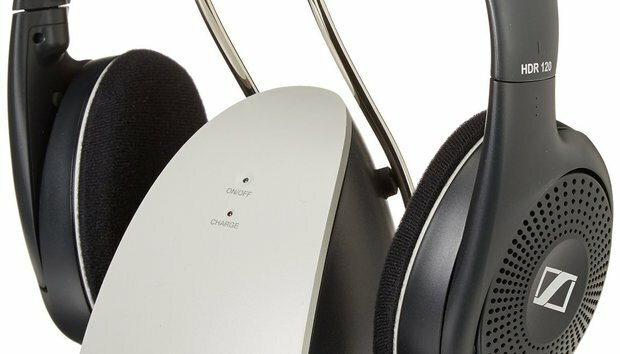 Sennheiser, one of the world's leading manufacturers of headphones, microphones and wireless transmission systems, is currently offering their RS120 Wireless Heaphones at a 39% discount. With a regular price of $129, this unit can be purchased on Amazon now for just $78. The RS120 receives an average of 4 out of 5 stars from nearly 10,500 reviewers (read reviews). The RS120 is ideal for TV or any hi-fi audio application, delivering detailed, warm sound with strong bass response. It operates on RF, interference free for stereo sound through walls, ceilings & outdoors up to 300 feet. Hook it up to any device with an RCA or headphone jack audio-out connection. A single charge is good for up to 20 hours of audio. The charging dock doubles as the transmitter. Up to 100 units can easily be added to the system, so multiple people can listen at once. Many recent reviewers on Amazon confirm that the RS120 delivers high quality audio, while being comfortable, durable and reliable. See the heavily discounted Sennheiser RS120 On-Ear Wireless RF Headphones on Amazon to learn more and review buying options.